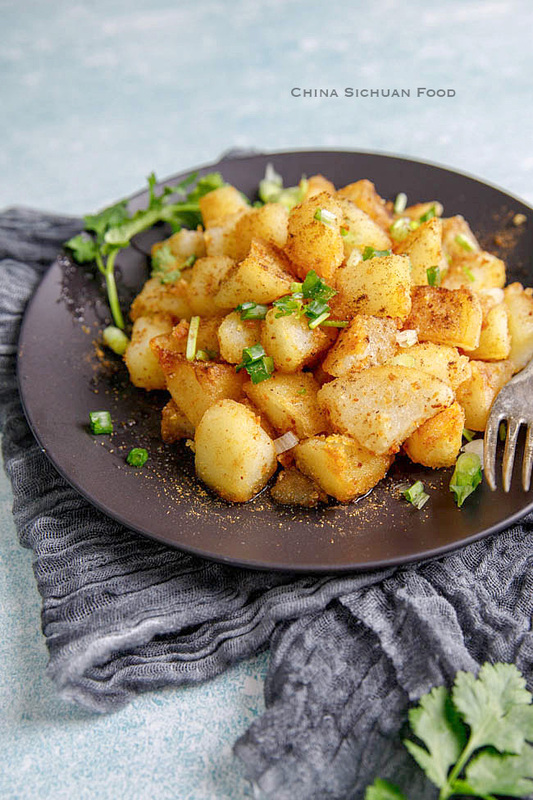 Sautéed potatoes with a mixed salt and pepper. 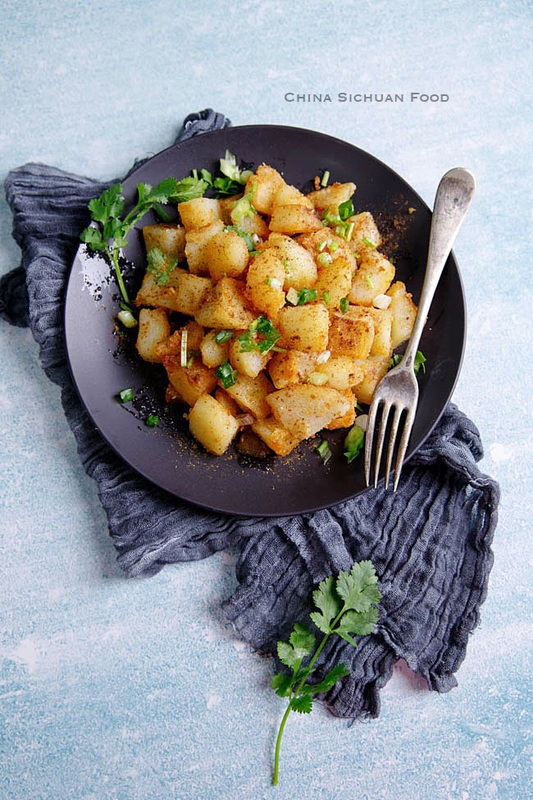 Potatoes have been our staple food for years during childhood time because they are easy to keep and more important extremely yummy when well cooked. 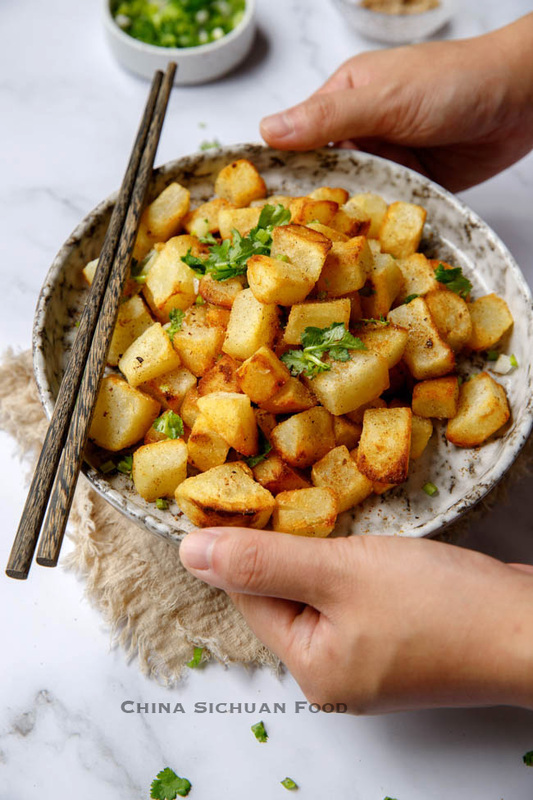 This crispy sautéed potato is always on our dinner table around the year. 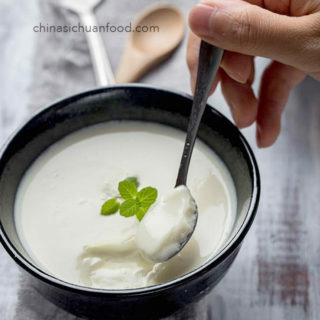 Besides, it is a perfect side dish can be prepared while you are cooking other dishes. That’s the reason why I love to cook it frequently. 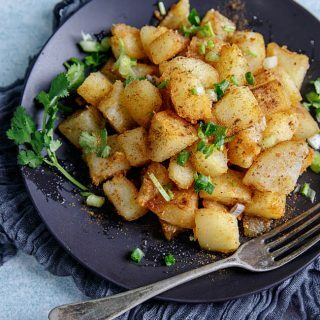 You can use small potatoes or large waxy potatoes for this recipe. The high starch content can help to from an extra crispy shell after sautéing and that’s the best part of this dish. 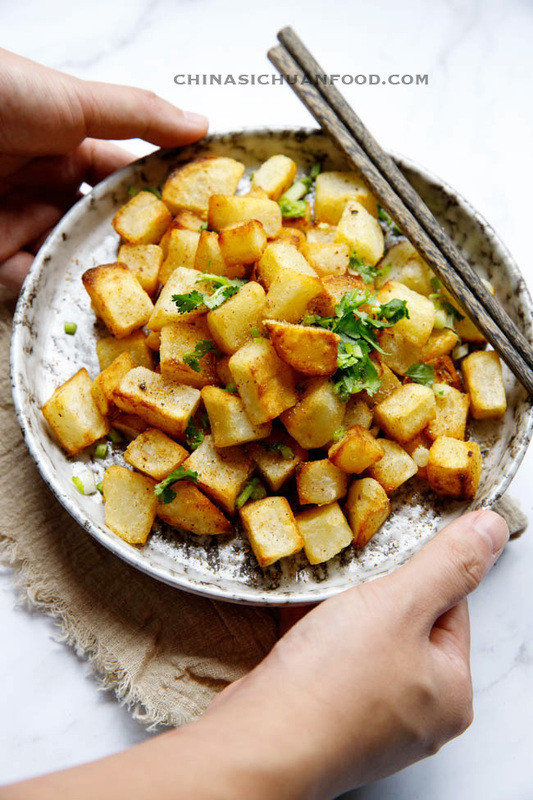 If you want to get even crispier sautéed potatoes, here are 2 tips. Slightly overcook the potatoes until the edges becomes easy to break and rough. If I cook the potatoes 7 minutes, it gets very soft inside and a slightly sticky but still crispy shell. 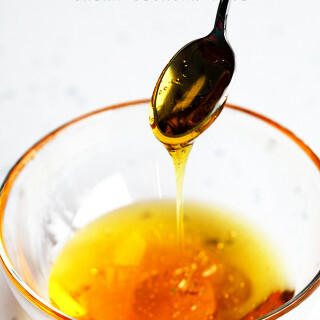 Mix around 1 tablespoon of oil with cooked potato cubes and set aside for a while. 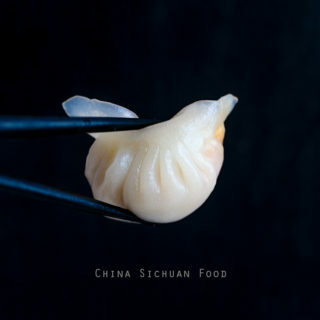 The oil and starch mixture help to get extra crispy shell. 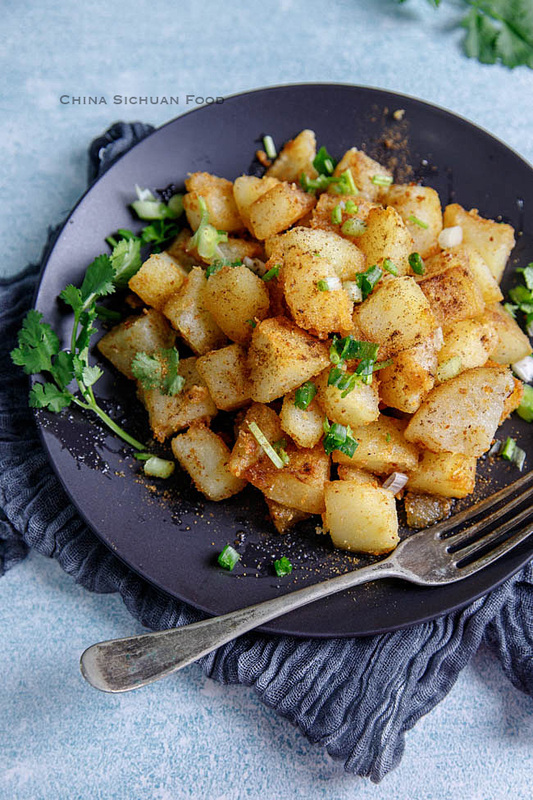 Dried spice mix are used in this recipe in order to keep the crispy texture. Cut the potatoes into 4cm cubes. Place in a large pot with enough water. Cook for 5-7 minutes until soft. Slightly drain. 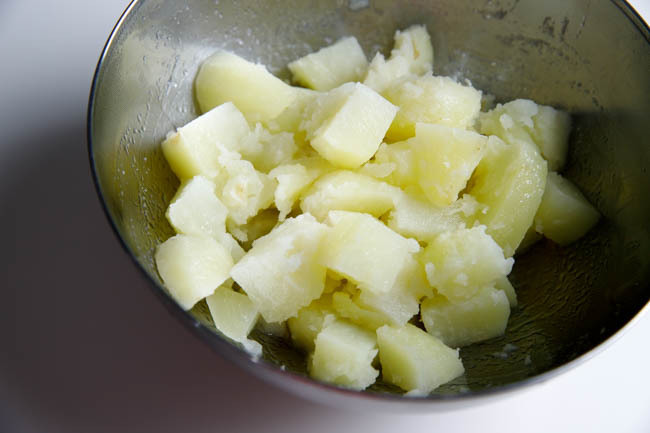 (optional but recommended) Add around 1 tablespoon of cooking oil to the bowl with cooked potato cubes. Set aside for 5 minutes. 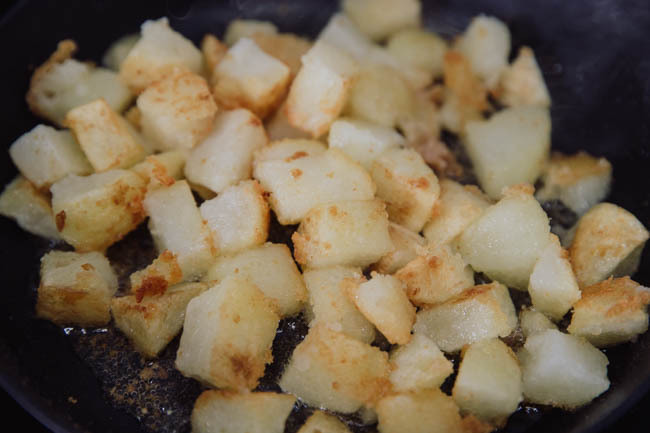 While preparing the potatoes, heat around 1 teaspoon of salt over slow fire for 1 minute or until slightly browned. Add 1 tablespoon of ground Sichuan peppercorn and 1 tablespoon of ground cumin. Heat over slowest fire until aromatic. Transfer out to cool down. Add oil in a no-stick pan and spread the potatoes in. Let them stay for a while until the bottom is well browned and crispy. Turn over and fry the other sides for a while. Mix spices in, transfer out and garnish chopped spring onion and coriander. Serve hot! 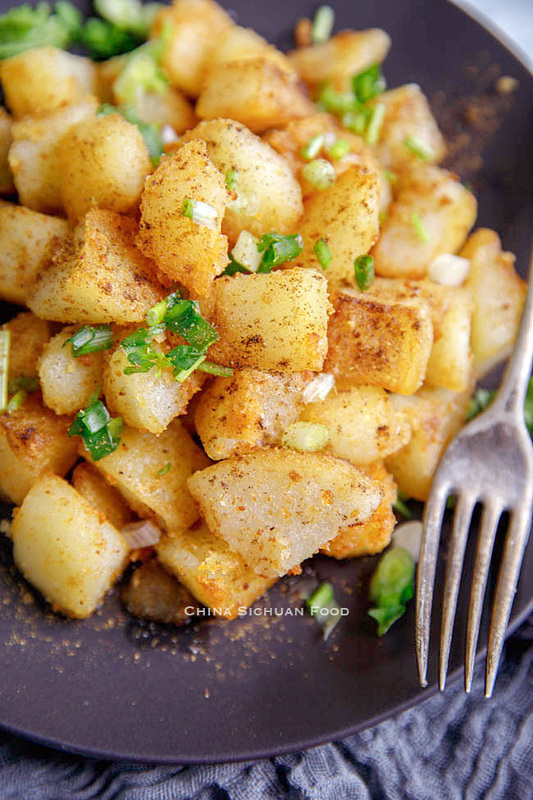 Snack form the memory, Chinese style salt and pepper sautéed potatoes. Cut the potatoes into 4cm cubes. Place in a large pot with enough water. Cook for 5-7 minutes until soft. Slightly drain. 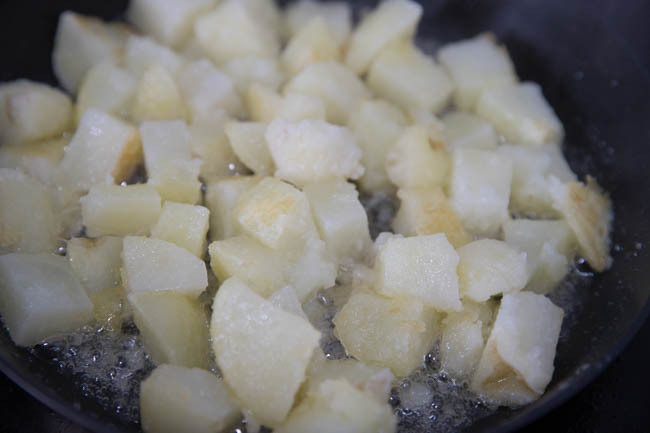 While boiling the potatoes, heat around 1 teaspoon of salt over slow fire for 1 minute or until slightly browned. Add 1 tablespoon of ground Sichuan peppercorn and 1 tablespoon of ground cumin. Heat over slowest fire until aromatic. Transfer out to cool down. 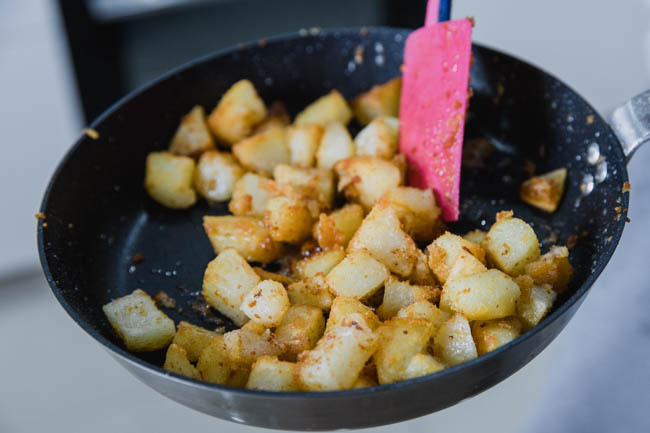 (optional but recommended) Add around 1 tablespoon of cooking oil to the bowl with cooked potato cubes. Set aside for 5 minutes. Mix spices in, transfer out and garnish chopped spring onion and coriander. 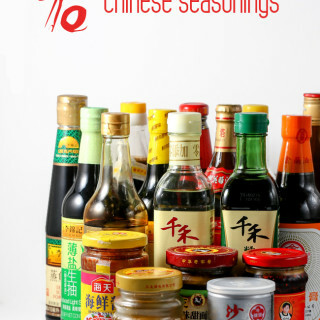 You can also add some cumin or black pepper powder to make another flavor. I love the simplicity of these potatoes. 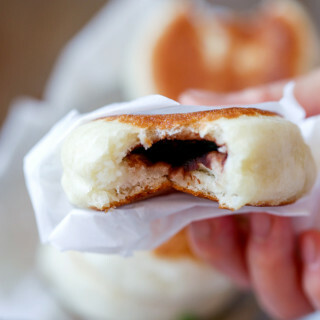 Sometimes the simplest food is the tastiest. Thanks for sharing! Simplest food sometimes amaze me a lot. yes it is . tell me more what you like . me in san jose CA USA. and more! Can you help? 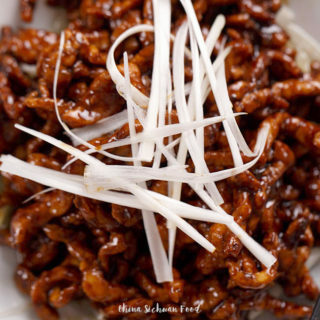 I have posted a recipe about Rou Jia Mo, you can check this. And the shredded potatoes is one of the most popular dishes in China. I will take it as soon as possible. Instead of cooking oil, I use Red Chili Oil (recipe here on your web page). 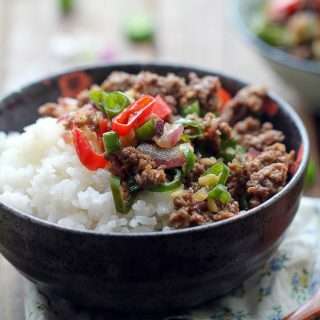 The Red Chili Oil adds color and flavor to this dish. 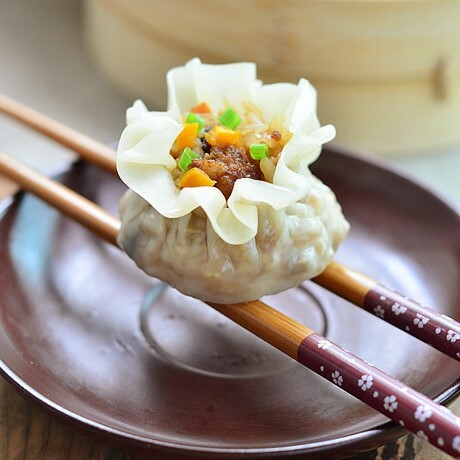 THANK YOU for all the wonderful recipe that I have adapted from these web pages. Using chili oil is a brilliant idea. I make that version frequently too when my children at school. This tip makes this dish even better. I will add this in the recipe. Thanks for the great suggestion.